KANSAS CITY, Mo. — Montana Tech’s football team will enter the 2018 season unranked. 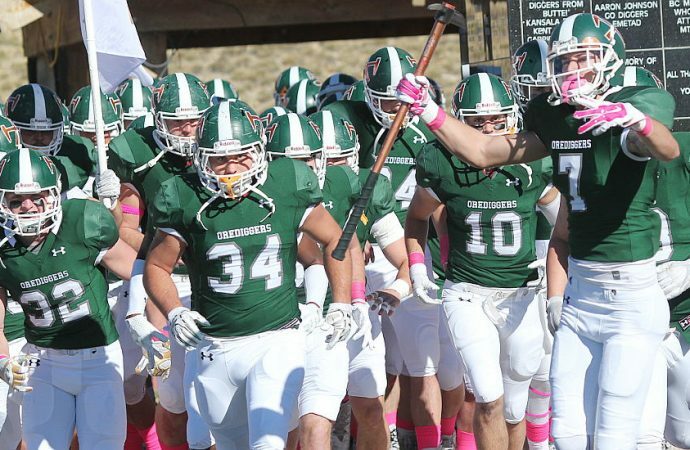 The Orediggers finished just out of the Top 25 in the NAIA preseason Coaches’ Poll, which was released today. Tech was the top vote getter in the “others receiving votes” category. Montana Tech was ranked No. 6 this time last season. In 2017, Tech was ranked as high as No. 5 before the injury-plagued Orediggers lost four of their final six games and finished at 6-4. Two-time defending national champion Saint Fancis (Indiana) opens the season as the No. 1-ranked team. Reinhardt (Georgia) is No. 2, followed by Morningside (Iowa) and Southern Oregon. Frontier Conference coaches picked Southern Oregon to win the title this season. Rocky Mountain College is the only other Frontier Conference team ranked in the preseason poll. The Battlin’ Bears came in at No. 20. The College of Idaho also received votes. The Orediggers open camp this week. Their first game is Sept. 1 at the College of Idaho.